The 1825LP displays the main system voltage (V@0A) of the power utility and calculates the volt drop between Line and Neutral as if 16A was flowing between Line to Neutral. The built in Load Tester does not require the use of heavy high power resistor elements to measure the “On-Load” volt drop. With the 1825LP the electrical engineer can quickly ascertain if basic components of the network are healthy or if a problem is present between Line to Neutral or Line to Earth. Measures the voltage drop as if 16A was flowing between Line and Neutral. Displays voltage without current (V at 0A). Display voltage as if 16A flowing between Line and Neutral (V at 16A). Auto off/auto ranging (software range). 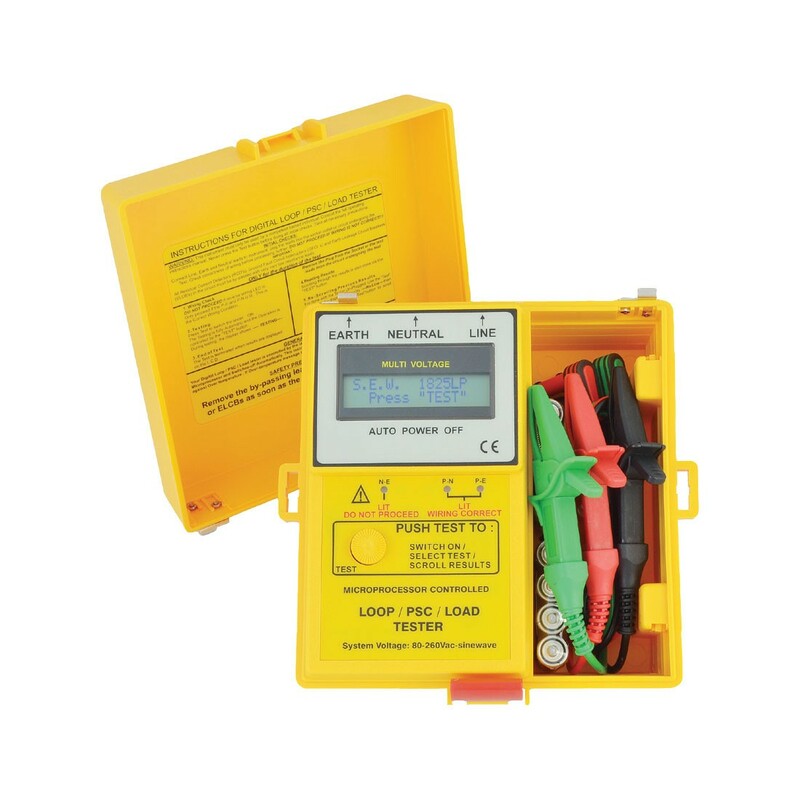 Combined prospective short circuit current, loop and load tester.